Uh My Hobby is Theater, I Guess? Ed: This article is the first of a series of articles featuring student organizations and their activities in Yale-NUS, contributed by Yale-NUS students outside of The Octant. We hope to make these passions contagious, tapping into students’ knowledge and expertise on the unique causes represented by student organizations. 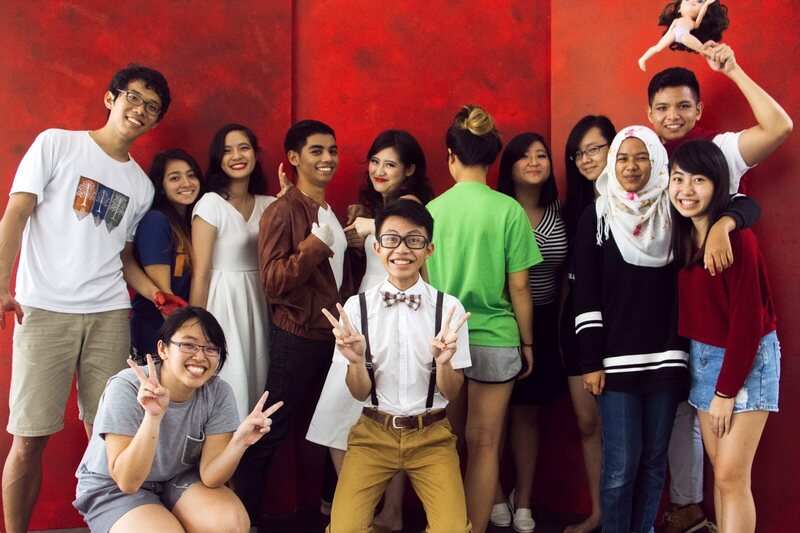 When I was a freshman two years ago, Yale-NUS College didn’t really have the type of theater club that I was used to growing up. We had Fifth Wall (currently Green Room Theatre), which had put up the 24 Hour Play and a collection of short plays, but there was no full-length production in the works. As a theater kid who had worked on hefty two hour long plays twice a year since I was 14, not having this kind of structure in my college life was unthinkable. Unbeknownst to me, Sean Cham ’19 and Myle Yan Tay ’19, two artistic giants whom I’ve had the joy of also knowing as human beings, had made plans during Experience Yale-NUS Weekend (EYW) to put on a show together, and somehow I got pulled into their orbit. It was going to be a musical. Mel (Melody Tay ’19) and Yan were going to direct it. There were auditions, which I blindly went for, despite the fact that I do not—and cannot—sing. And then we were off. I’m still not entirely sure where our money came from or how and why everyone so generously contributed their time and effort to the show (actually I do know, it was because of the ungraded semester). We had two months to pull a musical together. Everything was very ‘balls to the wall’. I could go on and on about the times we spent painting flats in the poorly ventilated loading bay or how we stole trash to decorate our Front of House, but what really sticks in my brain is when Sean and I tentatively pitched the musical to a then-junior. She was skeptical about it, and wasn’t sure it would work because previous attempts to mount a full-length production at Yale-NUS had always ultimately fizzled out. Yale-NUS was a small school of busy people, she cautioned. Most people didn’t have the time to commit to something so big. Not to sound like an old man recounting life back in the day, but that musical, and (aside) itself, almost didn’t happen. There were many late nights filled with terse conversations outside the Black Box Theatre dressing rooms where we tried to make things work while trying not to get mad at each other. After rehearsals, I told my suitemates, “I don’t know how we’re going to pull this off.” But then we did. I find it difficult to talk about the musical itself, not only because of copyright reasons, but also because it’s just special to me somehow. Objectively, it went well because people enjoyed it, we sold all our tickets, and people even came back to watch it a second time. But ultimately, all I really care about is that I was really proud of the production. We continued the momentum of the musical by creating a new student organization, (aside). (aside) would be a traditional drama club and would aim to put on an established play or musical on campus every semester. The “we gotta do this even though it kills us” attitude from our first musical has been driving (aside) ever since. While we have been able to put on strong performances, the journeys there has been long and agonizing. Everyone in Yale-NUS is already overworked, but when you’re involved in a production which demands so much of you, it’s not a healthy environment on its best days. At the end of my freshman year, I took a leave of absence from the club due to exhaustion. Leaving was especially hard because (aside) had become my home. I spent my first semester in Yale-NUS feeling oddly lost and untethered. You know in ‘Lost in Translation’ where Scarlett Johansson is in the cab looking at the Tokyo skyline and you see her young forlorn face framed by the reflections of the neon lights? I felt like that. More of our members also started feeling burnt out, and we realized that we had to make changes to our club’s attitude and working habits. As a result, we have mainly been working to foster a kinder and more encouraging culture within our organization, that emphasizes learning and improvement rather than perfection. We are still committed to putting on good shows, but we are less inclined to give up everything to get there. A big reason why I am still in theater is because I love the work which goes into it. Sure I hate doing warm-ups and I grumble when technical runs drag on, but that feeling when the lights are about to come up, when I’m physically exhausted but my chest is full of too many bright things to even put into words—that’s the best feeling in the world. I am trying to relearn how to do theater without it killing me, and I think (aside) and I are slowly getting there. (aside) will be accepting proposals for their next semester’s production in the near future. Those interested should look out for a Facebook post from them, or contact them at ync.aside@gmail.com.